Super Excited!!!!!!! 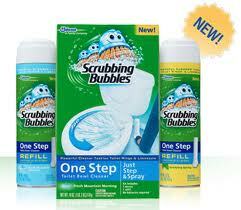 Adding to your cleaning supply stockpile should be EASY with all of the NEW coupons from Scrubbing Bubbles. To print your coupons, simply click on the coupon and print, SUPER EASY! Print your coupons and we'll keep you posted how to put them into ACTION!